Because Coffman designs her own work, gifts can be tailored to a collectors needs. For those persons looking for an original Nativity scene, or crèche, to give as a Christmas present to the Nativity set collector, or as a gift idea any time of the year, this site may be the answer to their Nativity search. 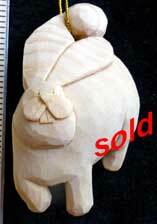 Christmas Carvings Available For Immediate Shipment! 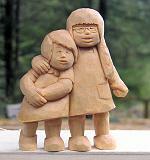 Please click the above link to see Christine's carvings that are now available. More figures will be added to each of the new Nativity groupings, A through D. Even the simple single carving of Baby Jesus will be developed into a many figured Nativity, possibly with animals, maybe with small children gathered round. Sets of the Three Wise Men, Shepherds with sheep, and more Angels will be added to the other Nativity sets. 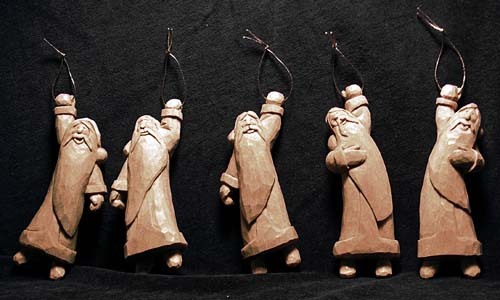 These groupings will be sold as an entire set or can be sold separately, as long as specific pieces that obviously go together are not separated, for example, the Three Wise Men always go as a set, as do Mary, Joseph and Baby Jesus. Nativity sets that set the scene using only figures and simple palm tree backgrounds are Coffman's specialty. 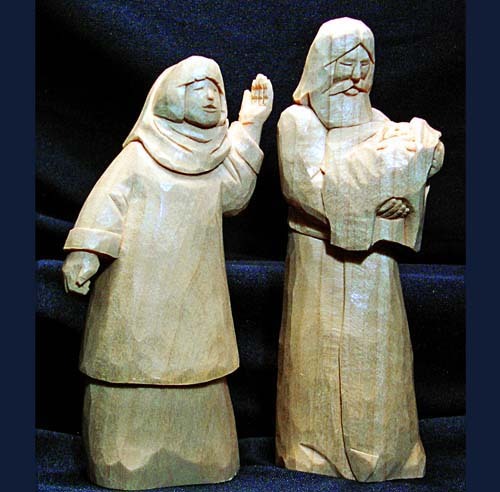 She uses wood carving to create Nativity figures that would be better described as miniature sculpture, rather than simple craft pieces. Each Nativity crèche is created to show an emotion that could have been felt at the manger scene. 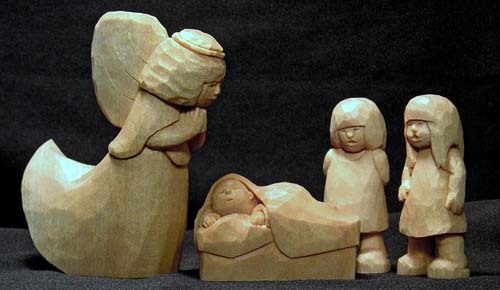 Each figurine is carved with the same care, be it the Baby Jesus or a shepherd. Sometimes the scene reflects joy, or awe or contentment. Sometimes the set will suggest an air of excitement and expectation. Sometimes it becomes a Nativity scene showing of a little of each of these emotions. Coffman also tries to create separate pieces that can be interchanged among the Nativity sets, so clients can feel they are creating their own scene. If you are interested in one of these Nativities and would like to be specific as to what other Nativity figures should be added, please contact me to discuss this. Left on my own, I try to create Nativities that have a variety of poses which add interest to the overall finished artwork. 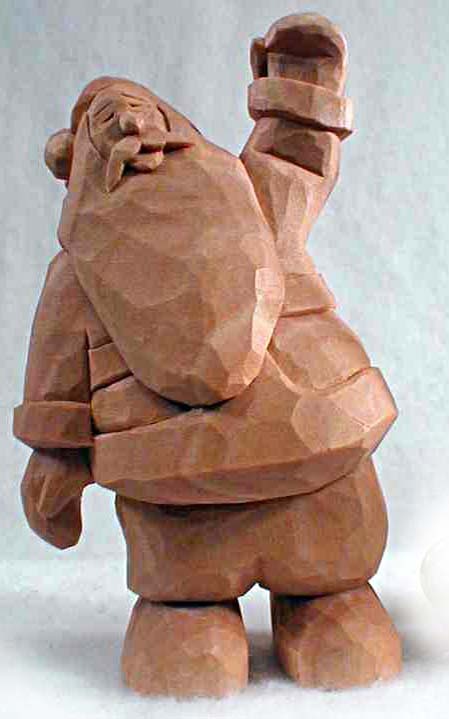 Hand carved Santa Claus figures are also a popular choice for gift giving. They come in all sizes from 2 inches tall to 16 inches tall. 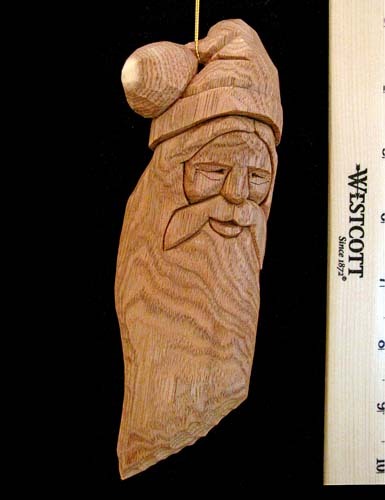 The Santa Claus wood carvings can be for collectors or for Christmas decoration. They are signed and dated and many persons enjoy getting one as a gift or for themselves each year. 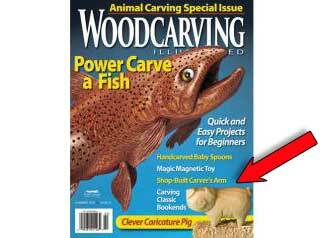 As Featured In Woodcarving Illustrated Magazine! Step by Step DVD movies. Watch as Christine does the carving. You can stop the movies at any time to make sure you are following correctly. 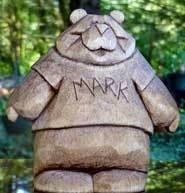 Click here for more info on All Wood Carving Kits. 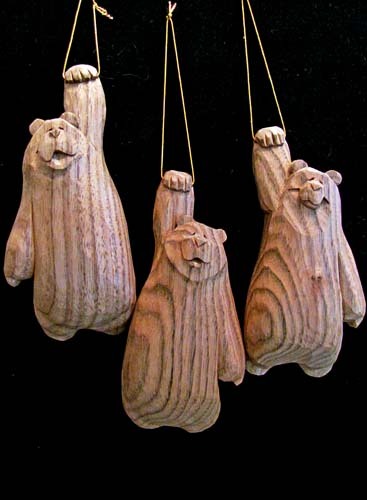 And let's not forget our bear wood carvings. There are all shapes and sizes of collector bears. Coffman has a lot of fun making the bears. And the bears have a lot of fun making people smile. There are tiny ones for people with little display space, silly ones for someone who needs to be cheered and bear hugs that make it possible to send someone a hug through the mail. They make funny little groups that can be added to easily. No Limit To Gift Ideas! Christmas gifts should be ordered far in advance. 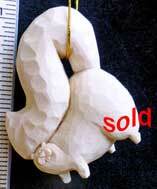 These wood carvings are all hand carved by one person and you can't hurry hand carving, at least not with good results. Christmas Crèches especially should be discussed well before the gift giving Christmas season. Often just drawing the idea for the Nativity scene involves many hours, and the finishing oiling also involves time. It's very damp in Washington State, and the Nativity scenes need at least three coats of tung oil, which could add several days to the process, because the dampness slows the drying. Get a gift certificate of the value you choose. One of the best known American Sign Language signs is the "I Love You" sign (handshape). It is an easily recognized sign. Making the I Love You Sign blends the handshapes for the letters I, L and Y into one handshape. Your slides and paper photos scanned to DVD slide show disk.